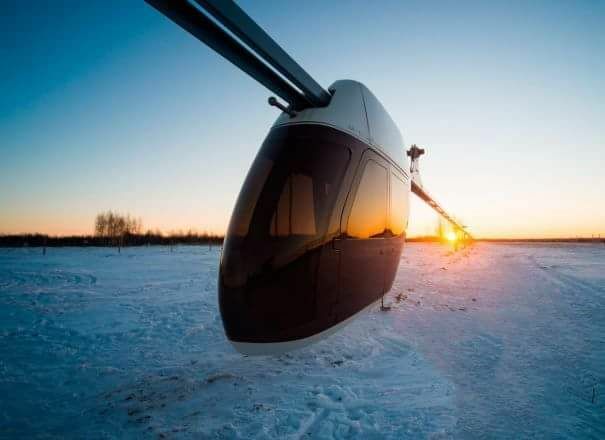 The successful approbation of the main units and elements of the first-generation string transport took place at the test site in Ozyory, Moscow Region. 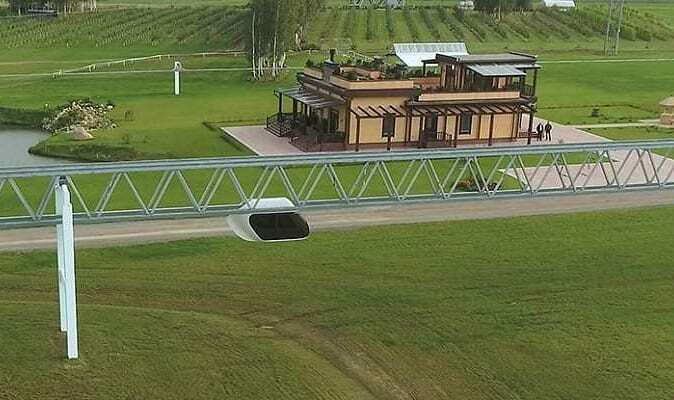 However, SkyWay General Designer Anatoliy Yunitskiy, dreamed this grandiose project to be implemented at home – on the Belorussian land. And in 2015 it was in the Republic of Belarus where it became possible to establish a test site for the track and the fourth generation rolling stock of the string transport. The land near the city of Maryina Gorka, Minsk region, was chosen as a location for the construction of the EcoTechnoPark. 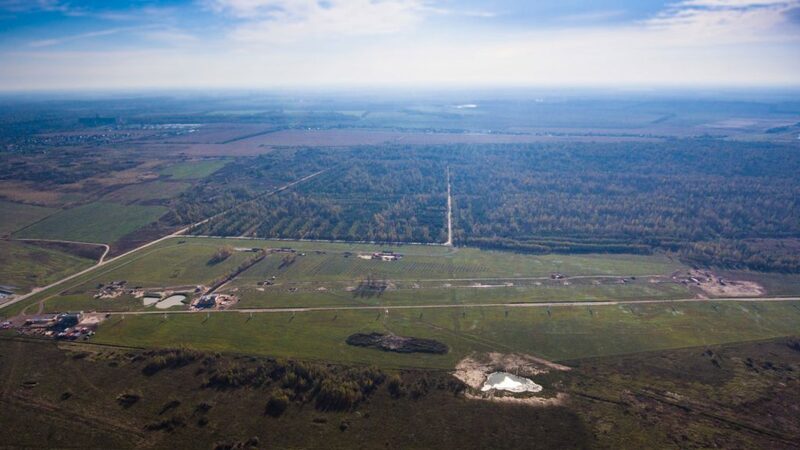 Almost immediately, the territory of the former tank range, formerly dug by the tracks of combat vehicles, impregnated with oil products, began to change. Soon after the construction began, the EcoTehnoPark looked completely different: the leveled land, laid fruit gardens and avenues. The pits, from which the soil was taken for the construction, were turned into the decorative ponds with ecosystems. At the same time, the construction of units and tracks of the string transport was in full swing. 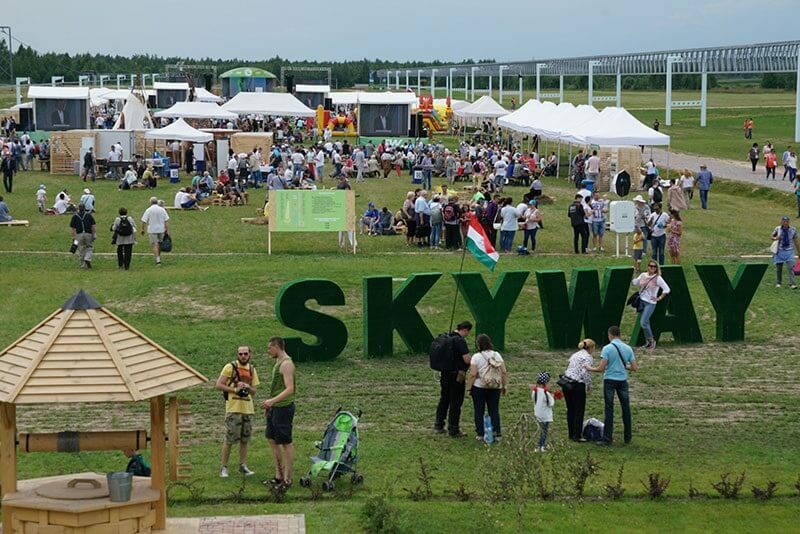 Today, the EcoTechnoPark is a clear example of the ecological potential of the SkyWay technology, demonstration of rational use of natural resources, application of modern agroecological technologies and creation of zones of ecological farming. 2014–2015 – The project of the EcoTechnoPark complex was developed. June 2015 – A lease agreement was concluded for the land plot No.1594 with an area of 35.9 hectares in the town of Maryina Gorka, Minsk region. 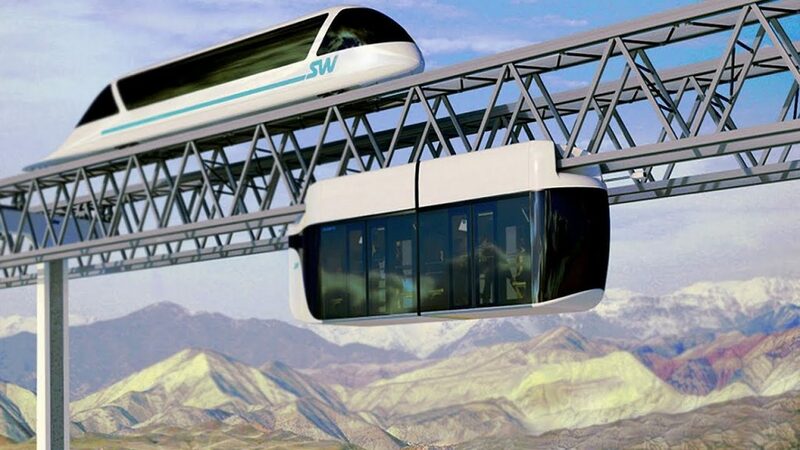 July 2015 – There was given the permission of the Pukhovichi Regional Executive Committee for construction of the EcoTechnoPark SkyWay on the site. February 2016 – All intermediate supports of the flyover of the urban/high-speed passenger transport system were installed. September 2015 – Pouring the foundation of the first anchor support, the work began on the production of the innovative security system and perimeter control. August 2015 – The excavation works started on the territory of the EcoTechnoPark. March 2016 – Installation of the string intellectual fencing. April 2016 – Completion of the construction of the transport and logistics hub, combined with the anchor support. November 2016 – The works were completed on the installation of a semi-rigid section of the track structure on the light city track, the process of installing track structure trusses on the SkyWay urban/high-speed tracks began. January 2018 – The installation of the supports on the reversal freight track section was completed, the setting of the reversal ring farms was started, and the pit concreting of the loading and unloading terminal was being carried out. 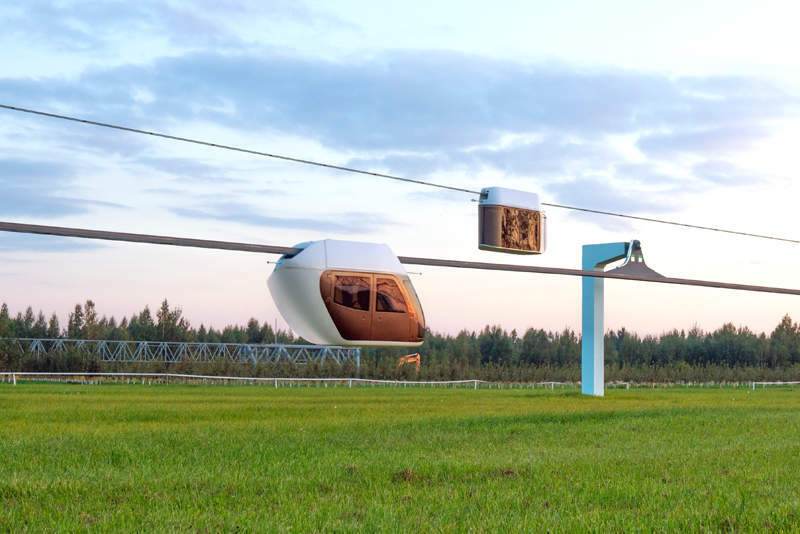 December 2017 – The test and demonstration centre of the SkyWay technology, the EcoTechnoPark, was accepted for operation by decision of the Pukhovichi District Executive Committee. March 2017 – The works started on the concreting of string rails of the semi-rigid section of the light track structure. July 2018 – The new industrial samples of the rolling stock are being tested in the territory of EcoTechnoPark: bi-rail unibus and unicar. Unitrans, the SkyWay freight complex, is being prepared for launching.